The Gift of giving over the Holidays, and selfless nature of a Martial artist, my thanks and gratitude to all of my Vandry BJJ students!! Whew. 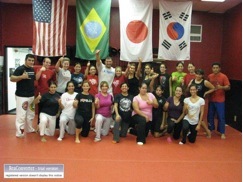 I have already submitted an article this month on the year in review on www.austinbjj.com along with two articles here on Women clinics I have taught, and a positive community of the best BJJ students in the world. Our community I am so proud of not simply from the accomplishments of our champions in tournaments, or the talent exhibited on the mat, but from the sharing with each other with 11 other Vandry BJJ Association Schools. My students came together for one of my students that passed away earlier this year. We always support each other. I learned from my parents how to offer a hand to those less fortunate, and for the correct reasons. I always believe your work for your fellow man is greater than your own. Sometimes a student just needs advice or just to talk to his instructor, or senior students or fellow students. It’s a therapy we have always had. I lectured one of my students who had been working, and catching up in life to send me an email to let me know he is doing ok. It is always important for me to know a student is ok if I haven’t seen him in class. It may be overworking, it may be homelife or they may have caught a flu. I always want them to know that I do care for my community. Community is giving. What many don’t know is where community comes from. March 3, 2012 12-4 p.m.
June 2, 2012 12-4 p.m.
September 1, 2012 12-4 p.m.
December 1, 2012 12-4 p.m.
January 21, 2012 1-4 p.m.
February 4, 2012 1-4 p.m.
May 5, 2012 1-4 p.m.
November 3, 2012 1-4 p.m.
What is our agenda? What is our point? This is where the discussion and understanding of true giving, community and selflessness come from. 1. Altruism is a concern for the welfare of others. It is a traditional virtue in many cultures, and a core aspect of various religious traditions, though the concept of ‘others’ toward whom concern should be directed can vary among cultures and religions. Altruism is the opposite of selfishness. You don’t have to be a millionaire to be altruistic, just well intended and concerned for the welfare of others. Our community always supports each other. And at times there will be people you help and they don’t appreciate it or are thankless. Don’t worry about those. I know so well about these types, I myself have experienced them all my life. We are all I’mperfect, so deal with it. Narcistic behavior is a hidden form of insecurity. We are imperfect creatures in this world. Our Jiu-jitsu skills always need tweaking, our wind time, pace, breathing, etc. And this transcends into your everyday life. If you have a student that rushes to win, or becomes upset if he or she loses in class, they probably project that same psychology in every day life. I have great students that help each other. They follow my lead, my black belts, my brown and so on. Everyone trains very tough but no one is here to hurt anyone. They all work together. At times we can have 100 people at one of my seminars, yet from all different cities, everyone still respects each other. That is a community. It’s the holiday season and that means one thing: News reports showing political officials serving Thanksgiving dinners at soup kitchens and homeless shelters. Very few things get me as upset as this. Folks, if you want to do a good deed on Thanksgiving or Christmas Day, please don’t pester your local homeless shelter. Stay home and enjoy your turkey and football and family dysfunction. Several years ago, I was a supervisor in a large housing facility in Chicago that provided hundreds of hot meals every day. Every year at Thanksgiving or Christmas, we would be inundated with folks wanting to volunteer and serve meals on those days. We had to assign extra staff just to take care of all the phone calls. I remember one woman who got very upset when she showed up to volunteer and it was suggested she help stock the shelves in the kitchen. Oh no! She wanted to work “with” the unfortunate homeless people. I’m sure she envisioned herself benevolently smiling to the less fortunate as she handed them a plate of food. And yes, city officials made their appearance for the news teams. They’d crowd into the serving line and dish up green beans for half an hour, disrupting the entire operation, and then leave. All for show. They were serving their needs; not their constituents. Yes, volunteers are severely needed at these facilities – year round. There were wonderful people who faithfully showed up all year long to help out and I don’t know what we would have done without them. They answered phones, stocked shelves, unloaded delivery trucks – all behind the scenes. These facilities serve meals every day and they have their routine down really well. Homeless people are hungry every day. It’s not like there’s a huge surge of them requiring sustenance just because it’s a holiday. If you want your teenager to volunteer, great. Have the little darlings show up every Monday at 7:00 am before school, without fail, so they can unload the delivery truck in the back alley. On Thanksgiving as you’re enjoying your turkey and gravy and find yourself wanting to help, do your local shelter a real favor. Stay home, watch the game, and write a check. I remember in 2001 there was a school district that needed to aid these families who had no thanksgiving. When I spoke with them, they told me five families had nothing. And to make matters worse, they only had a total of about $30.00 in donations. They contacted me the following Christmas asking for donations for gifts. I told them to send me the list of wish gifts. They kept responding by asking me to donate $50.00 per child cash. After six emails, I noted that the wish list was irrelevant. Just cash money, which I don’t have a clue where it is going. I told them thank you, and I think I will take my cause elsewhere. There are many great organizations. A few years ago I spoke with the wife of the head of Austin’s Salvation Army. Wow, what noble creatures they are. They have such a selfless cause that I respect. Any organization should serve their constituents. 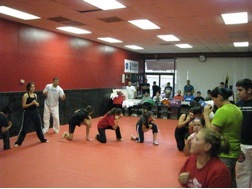 The VBJJA supports each other and all of our causes from Jiu-jitsu, to our fellow students, community and so on. Merry Christmas and Happy New year to VBJJA students!